Guest Contributor Jonathan Stevenson / Art – especially painting – is an honored cinematic metaphor for culture, particularly as a symbol of civilization under siege. Movies like John Frankenheimer’s somberly gripping The Train (1964) and this year’s less successful The Monuments Men have cast the rescue of art from the ravages of war and the depredations of fascists as a stand for the promise of a better world. 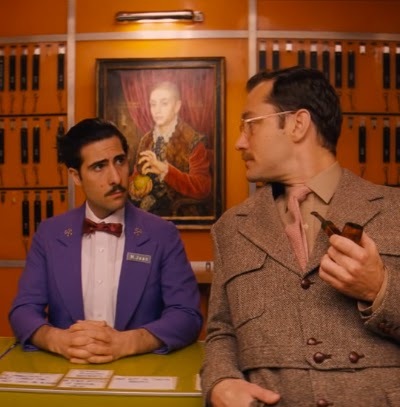 With The Grand Budapest Hotel, Wes Anderson has lent his sly quaintness and offbeat humor to this endeavor, and emerged with a subtly layered picture of history and how it is rendered. Other reviewers have noted that this is Anderson’s best and most ambitious film to date. And it is a painting that marks his great expansion in perspective and sophistication. Set mainly in an opulent alpine resort during the interwar years, the story centers on a probate contest between the hotel’s smarmily noble concierge (Ralph Fiennes, in his comic element) – aided by his laconic lobby boy – and an array of Nazi goons (notably including Willem Dafoe’s vampiric hit man and Edward Norton’s stolid SS commander) over who inherits the place. That, in turn, depends on who takes possession of the priceless (and ridiculous) Boy With Apple, painted by fictional Flemish master Johannes Van Hoytl The Younger. Pauline Kael famously wrote that by the end of Terms of Endearment the movie said, “You can go home now – you’ve laughed and you’ve cried.” Anderson, though a theatrical perfectionist, abhors that kind of emotional contrivance. The Grand Budapest Hotel is far from either a side-splitter or a tearjerker. 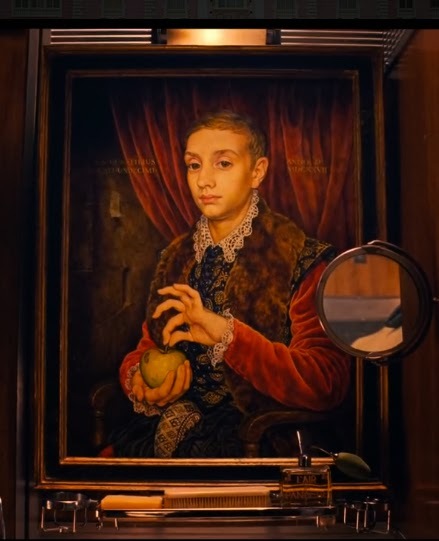 By the time it’s over, the film seems to say, “Sit in your seat for a while – you’ve smirked and you’ve winced; now figure out why.” Like other Anderson movies, this one stylistically tilts towards farcical pantomime (in fact, some of its setpiece shots look like comical versions of serious paintings). But there is no denying the film’s serious existential content. Anderson brings out the way in which history, depending on the historian, can sharpen the sorrow of mortality by transforming the revered into the decadent – or elevate posterity by glamorizing the past. In parallel, he vivifies both the vulnerability and the resilience of civilization, co-locating these mightily contradictory qualities in a painting. 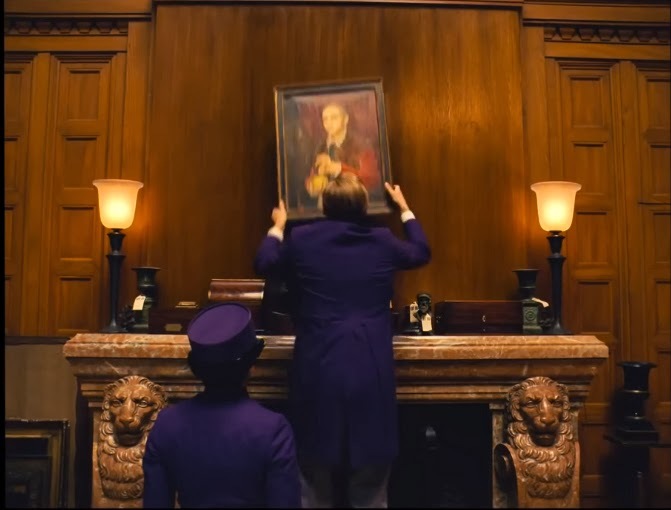 In the later years, when the once elegant lobby of the Grand Budapest Hotel is furnished with shabby 1970s furniture, Boy with Apple hangs behind the concierge’s desk, reflecting the power of art objects to transcend political upheaval and remind us of our past cultural glory (and excess). I wonder where the painting hangs now.